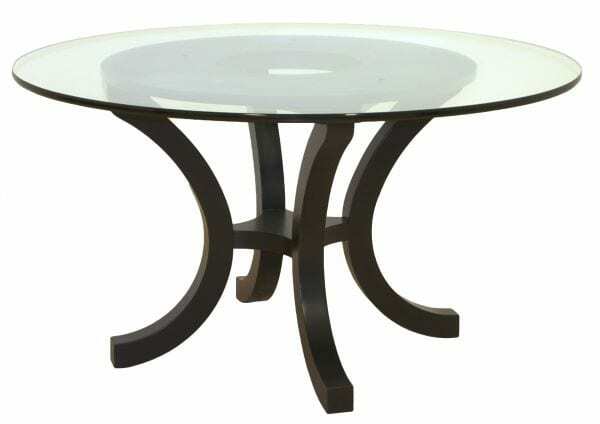 54″ Richmond Pedestal Table shown in Brown Maple with glass top and optional black base. Standard Features: Round top, 1/2″ thick glass top, Richmond base. Available in size: 54″ round.